Your energy levels can be improved during the winter months with the Mesa Mega 160 Bright Light Table Lamp with a dimmer. During the darker months it is extremely common to feel down and experience fatigue, which is known as Seasonal Affective Disorder (SAD). A burst of bright light is shown to improve the medical condition and also help with winter blues. As natural light decreases when summer ends, you may physiologically respond to these tougher living conditions by altering biological activities and hormone levels. Getting extra bright light in winter when you spend more time indoors is verified to improve your mood and alertness, help you to feel more awake and also more productive. For the best results, bright light sessions should be taken between 6.00 a.m. and 6.00 pm with the most effective time being in the morning between 6 and 8am. 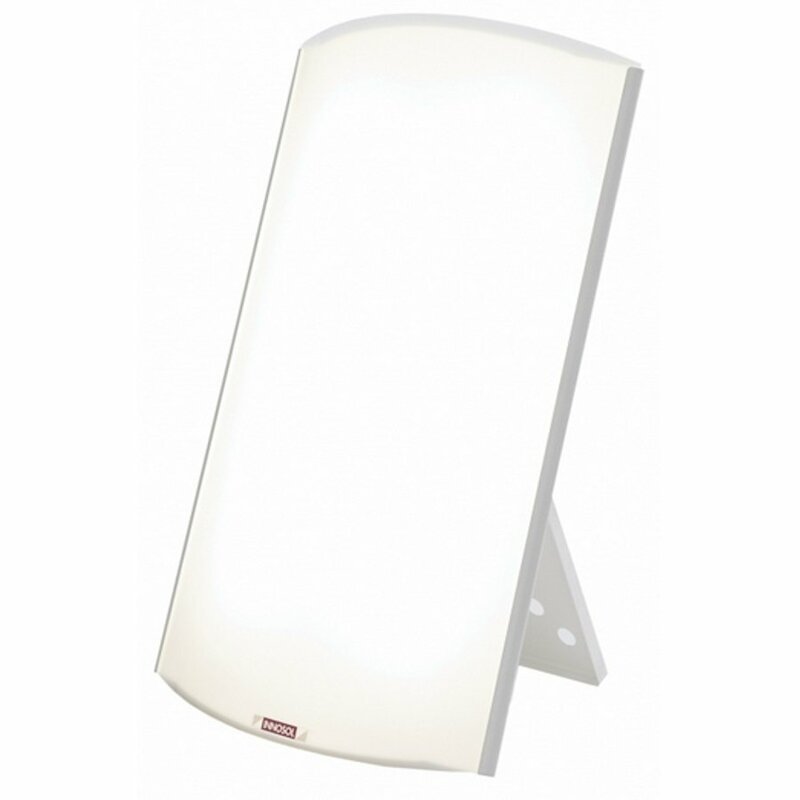 The Innolux Mesa Mega 160 is a modern looking, effective bright light device that is safe to use and doesn’t strain the eyes whilst providing a powerful light. The Mesa design features a useful handle, making it easy to move about in your home and it also has an adjustable support allowing it to be hung on a wall easily. 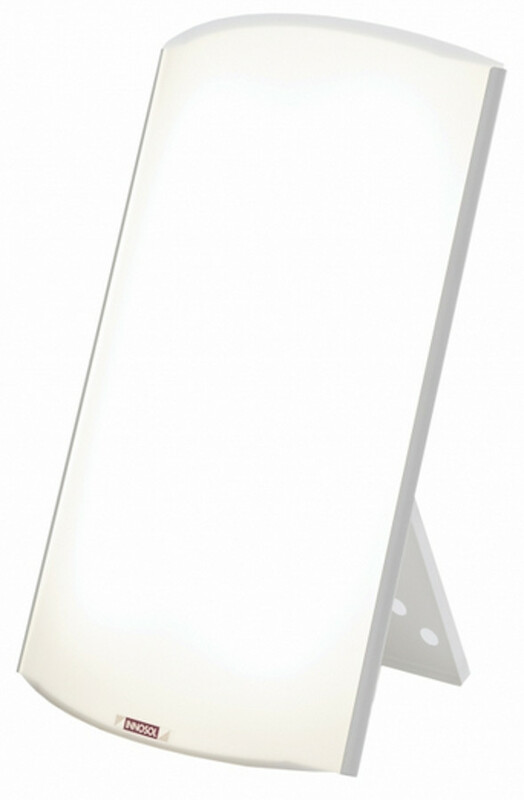 The Mesa bright light device is dimmable and has luminosity-improved reflectors and an improved light permeable anti-glare shield too. Size: 63.5 x 40.5 x 11 cm. Therapy distance: 140 cm (2500 lx), 70 cm (10 000 lx). 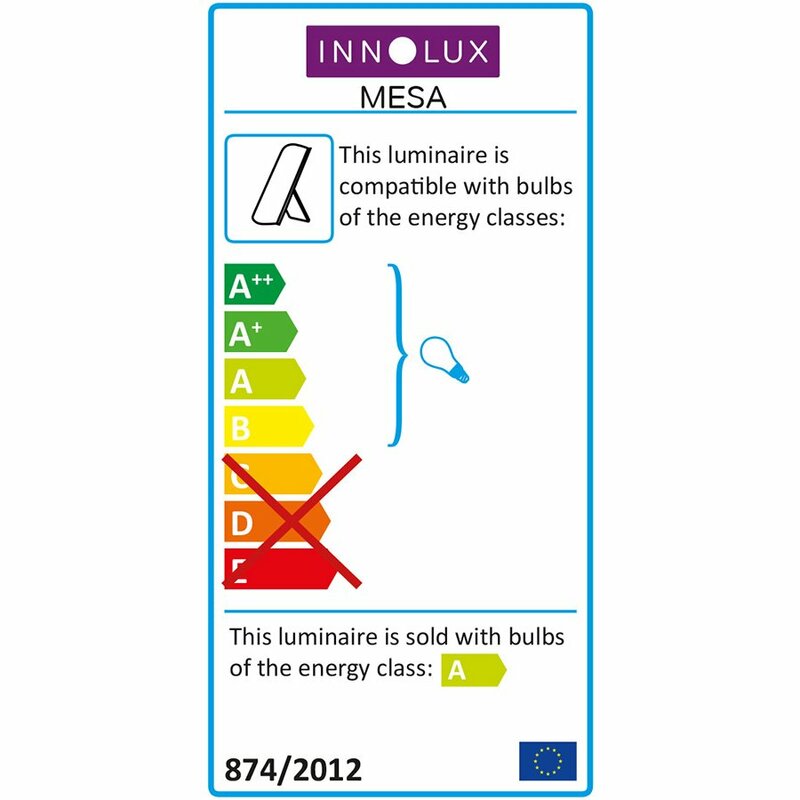 There are currently no questions to display about Mesa Mega 160 Bright Light With Dimmer SAD Lamp.